A French court of appeal has overruled the decision to annul the marriage of two Muslims because the bride had lied about being a virgin. They are now effectively married again - even though both partners said they accepted the original judgement. That verdict had caused emotional debate and outrage among some feminists, who said it amounted to a "fatwa" against women's liberty. But the husband's lawyers said the case had nothing to do with religion. They argued that the wife had breached the wedding contract, and tricked her husband into marriage. Under the French civil code, a marriage can be annulled if a spouse has lied about an "essential quality" of the relationship. According to media reports, the husband, an engineer in his thirties, married the trainee nurse in the summer of 2006, having been assured by her that she had never previously had a boyfriend. The woman admitted having lied about being a virgin, and later accepted the court annulment. Her lawyer said she did not want to contest the judgement, and simply wanted to get on with her life. But Justice Minister Rachida Dati ordered a review of the verdict, which was referred to in some quarters as "a real fatwa against the emancipation of women" and "a ruling handed down in Kandahar". Feminists argued the decision was unfair because a woman would not be able to cancel her marriage if she thought her husband was not a virgin. 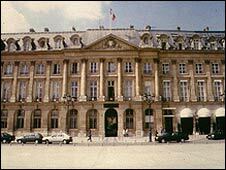 Critics have also asked if the judge would have ruled the same way if the marriage was not between two Muslims, and claimed the decision was incompatible with France's secular principles.